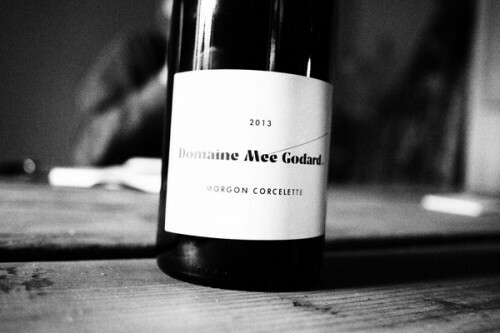 Mee Godard started her own domaine just three years ago. 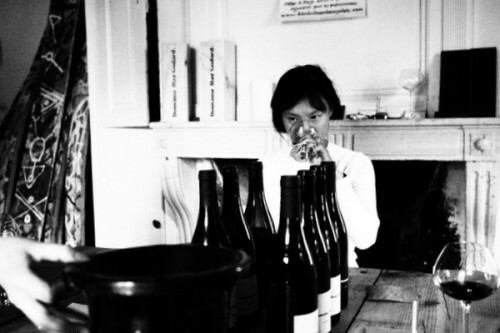 She’s previously studied winemaking in Oregon, and worked in Burgundy and Champagne. 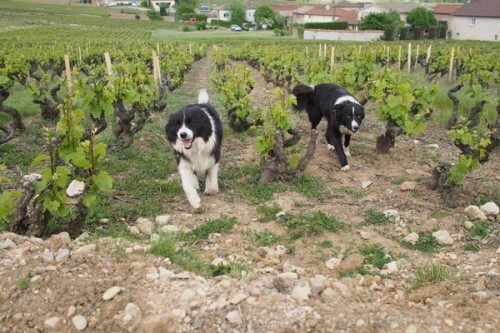 Now she has 5 hectares of vines in three different Morgon Climats: Côte du Py, Corcelette and Grand Cras. This year she’s begun to work organically in the vines, although she’s taking it slowly because she doesn’t want to stress her vines (average age 60 years) too much. It will take time for the soil to adjust, she says. We tried all the wines she has made so far: the 2013s, 2014s and 2015s (the latter from barrel; as with most serious producers, the 2015s are taking longer to develop than normal and won’t be bottled for some time). Right from the start, Mee has nailed it. These are backward, structured expressions of Gamay from good terroirs, and they will repay time in bottle. 2013 was quite a cool vintage, and these are particularly taut wines. 2014 is more classic, and shows a bit more generosity. 2015 is a hard vintage to get a grip on. The wines are big and impressive, with plenty of structure, and for many producers they are a little too big. But Mee has read the vintage well, and hers show superb precision and focus. 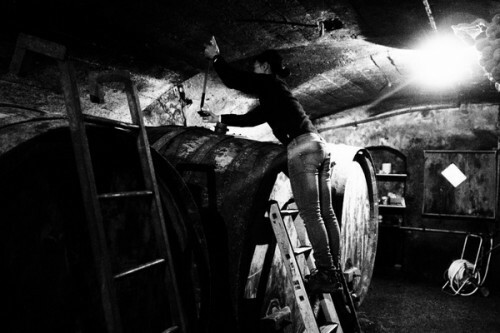 This is the sort of domaine where you buy all you can, and stick the bottles away for a few years. 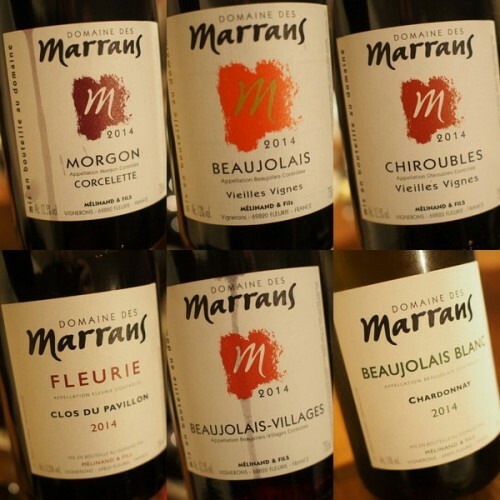 Domaine des Marrans was a real find. Mathieu Melinand hosted us. 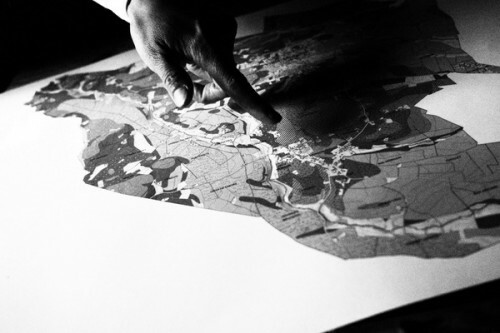 He runs the domaine along with his father Jean-Jacques, and makes wines in the most traditional way: short-ish macerations in concrete fermenting vats, then the wine goes to large oak to mature. 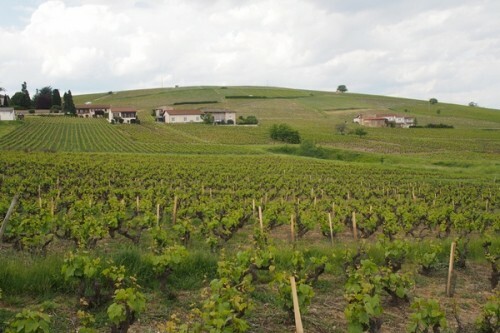 Marrans is based in Fleurie, just outside the village. It has 20 hectares of vines, with 18 in the crus. 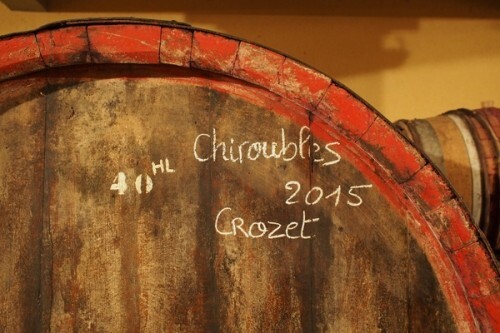 As well as 10 hectares of Fleurie, there are 3 in Chiroubles, 3 in Julienas and 2 in Morgon. They’ve been replanting their vineyards with selection massale (mostly from their own old vineyards), and not with clones. The winemaking here is really terroir transparent, and it allows the good work in the vineyard to be expressed fully in the wines. 2015s from cask were looking pretty smart, although these are certainly big, slightly atypical wines. The 2014s from bottle were superb. I was particularly taken by the Fleurie Clos des Pavillons, which is 4 hectare block that consists of pink granite over a clay base, with vines averaging 70 years old, and the thrilling Morgon Corcelette. We also had a look at an older vintage: the 2000 Fleurie (Pavillons has only been separated out since 2002). This was beautifully elegant. Bernard Metrat isn’t one of those winegrowers who gets talked about all that much, but I really like his wines. 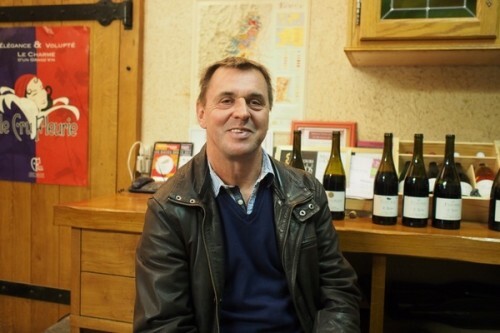 He’s based in Fleurie, and makes consistently fine, balanced, full flavoured wines that express their place. 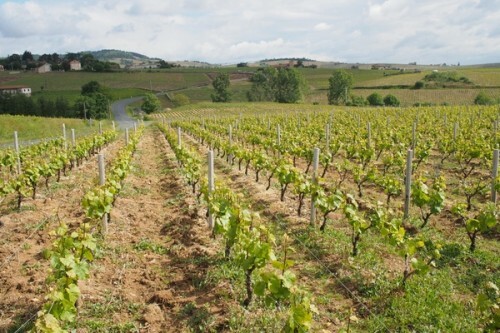 Viticulture is lutte raisonée (Terra Vitis certified) and winemaking traditional. 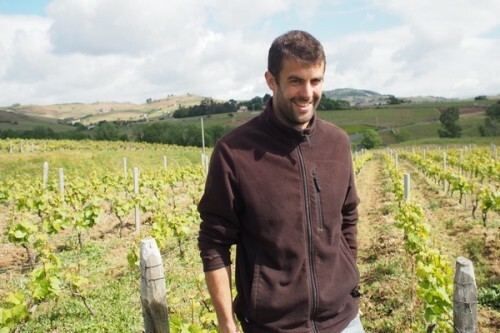 From his 10 hectares of vines he makes wines from three crus. 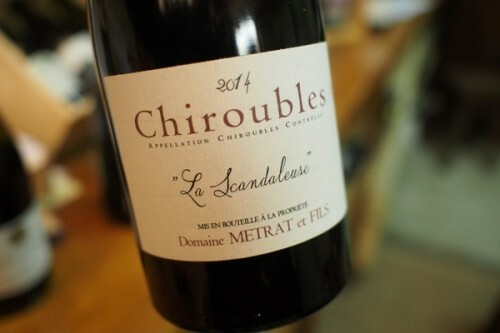 Chiroubles La Scandaleuse is a lovely wine, made from the Côte Rôtie climat (which he’s not allowed to use on the label, hence La Scandaleuse). Fleurie La Roilette is superb, and I actually prefer this to the Vieilles Vignes from the same plot, which shows a bit of barrel influence. We had a look at the 2009 La Roilette VV, which was much better, though, with depth and richness allied to elegance. I also really liked the Belle Coudrière Moulin à Vent. 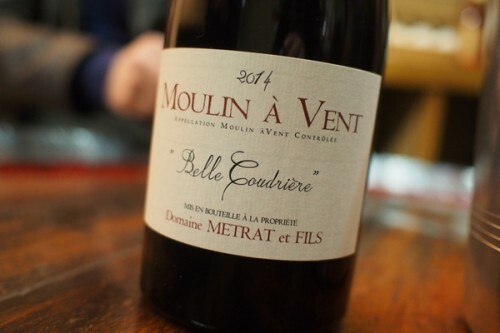 As with many of the leading Beaujolais winegrowers, these wines are also superbly affordable given the quality on offer. 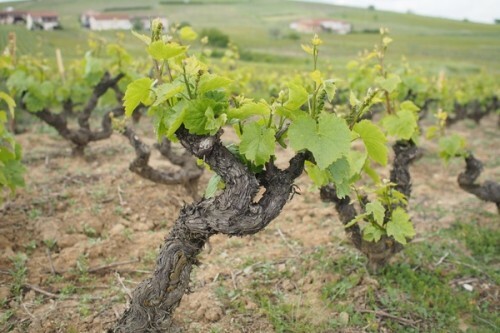 Now is certainly the time to begin exploring Beaujolais, because I reckon its time is coming.